A monkey from 47 million years ago has come to life once again. 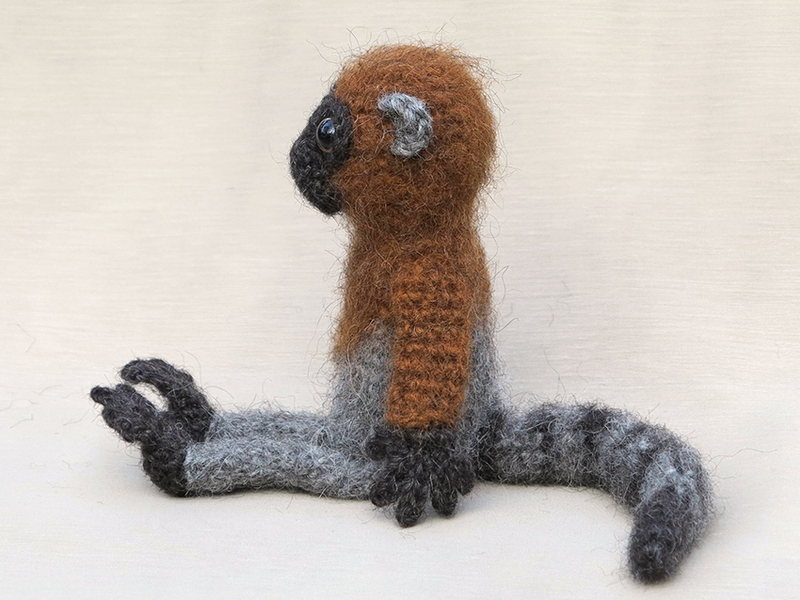 Meet my version, Adi the crochet lemur monkey! This was some crochet pattern to design. Adi is based on the fossilised monkey Ida, a monkey that lived 47 million years ago and is beautifully drawn by the talented illustrator Esther van Hulsen for a book about it. The hardest part to design was the face of this monkey. Ida the fossil, is a lemor monkey or prosimian and they have these gorgeous eyes. But I knew from experience that using big coloured eyes on crochet animals results in a blank expression. At first, I felt a bit unsure about the face, but when I added a nose and mouth I started to love that bright and curious expression. The face looks quite realistic but is composed of four simple parts. Two little flat circles behind the eyes, a muzzle and on top of those a sewn nose patch. 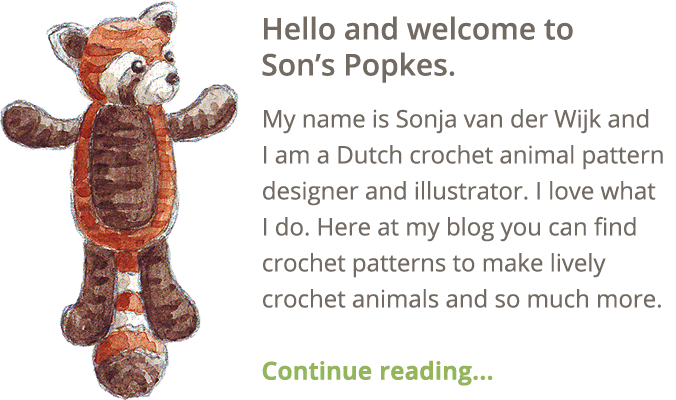 I am very satisfied with the similarities between my crochet monkey and Esther’s illustrations of Ida. I planned on giving Adi a basic appearance with a rust coloured body and legs, but when I tried out Esther’s colour scheme it worked so well in Lett Lopi wool. The rust and grey complimented each other and made my monkey look so colourful and alive. Also, I decided to brush my monkey, except for the ears, face, hands and feet, because the Ida monkey had quite long hair and it makes this doll look a little more special. And the name? I was not going for Adi at first, I had something else in mind. But then I stumbled upon a picture of a lovely guinea pig called Adi and that made me realise the name would just work perfect for this monkey pattern. Here are some more pictures of Adi, I absolutely love the profile of the face! Below the pictures you can find info about and links to buy the pattern. 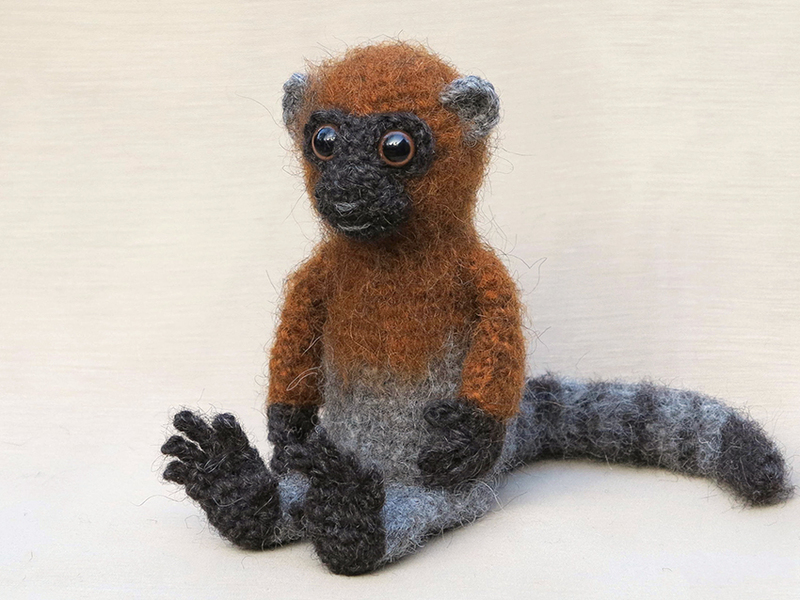 This realistic and playful crochet monkey is made with Istex Lett Lopi, a worsted weight wool. It is 14 cm / 5.5 inch when sitting. The pattern is easy and versatile. You can simply turn this monkey into a hanging one by extending the arms and legs and if you want to make a specific kind of monkey, just choose different colours! All the additional information you need to know about this pattern you can find in the shop listings. You can buy this pattern in my shop at Craftsy and in my shop at Ravelry or order it here. 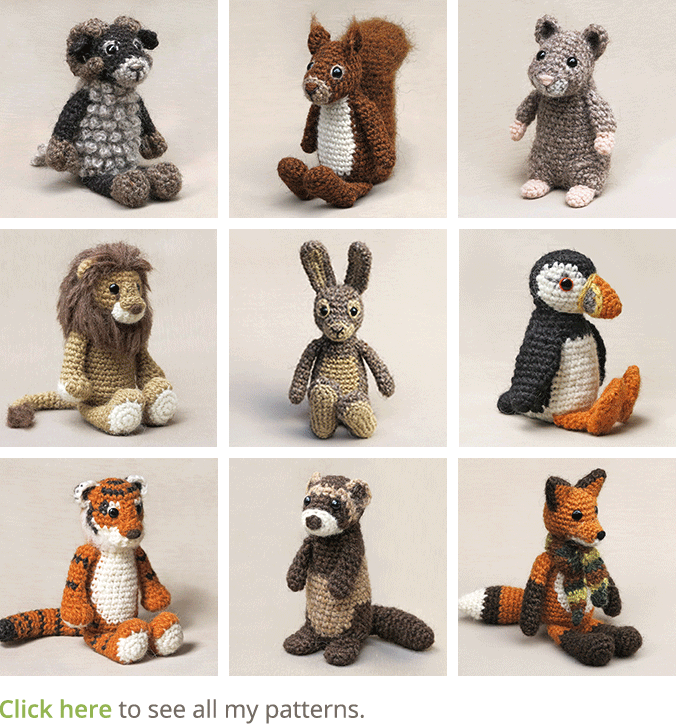 It contains a clear and colour coded description of how to crochet and assemble the monkey with extra illustrations and example pictures at the bottom to help you get everything right. In the pattern you can also find what materials you need, the yarn colour numbers, in short, everything you need to know to make your own ancient looking friend. 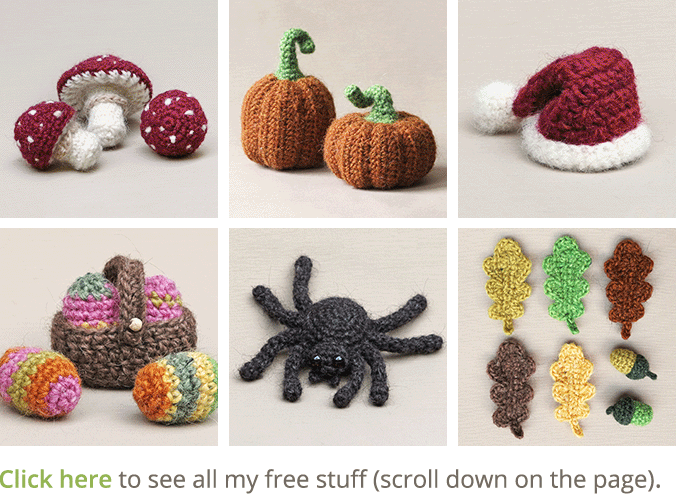 This pattern has a one dollar release discount till Thursday the 2th of februari.